Munich – July 1, 2016. 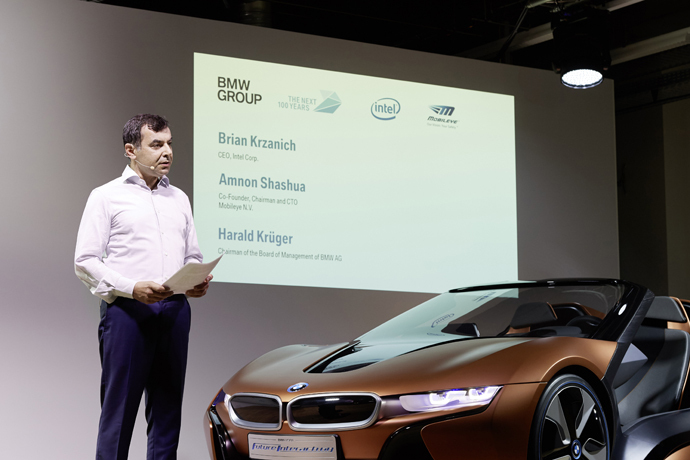 BMW Group, Intel and Mobileye are joining forces to make self-driving vehicles and future mobility concepts become a reality. 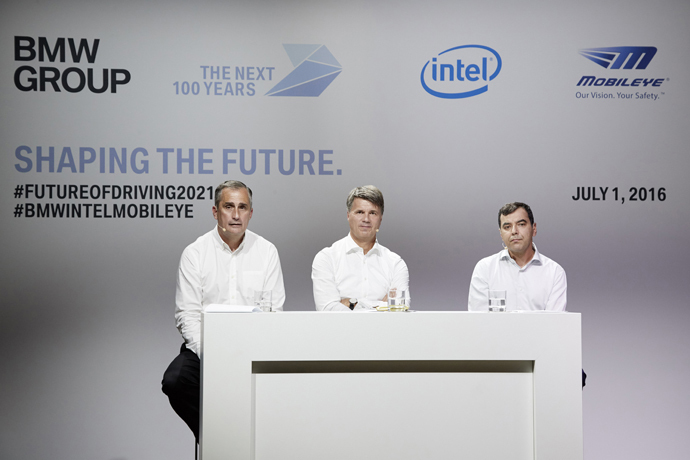 The three leaders from the automotive, technology and computer vision and machine learning industries are collaborating to bring solutions for highly and fully automated driving into series production by 2021. 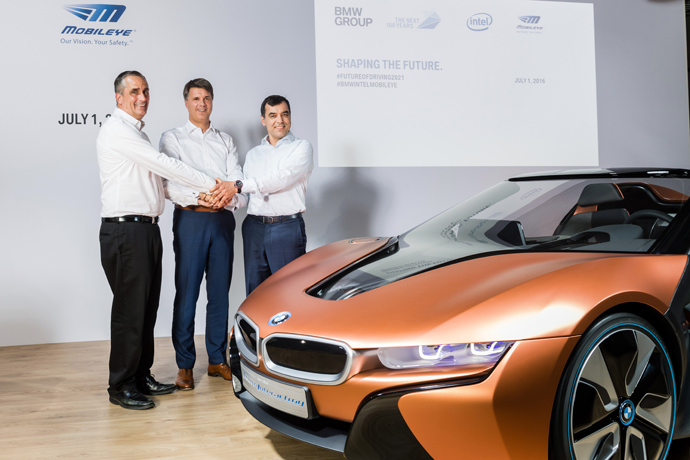 Mobileye N.V. (NYSE: MBLY) is the global leader in the development of computer vision and machine learning, data analysis, localization and mapping for Advanced Driver Assistance Systems and autonomous driving. 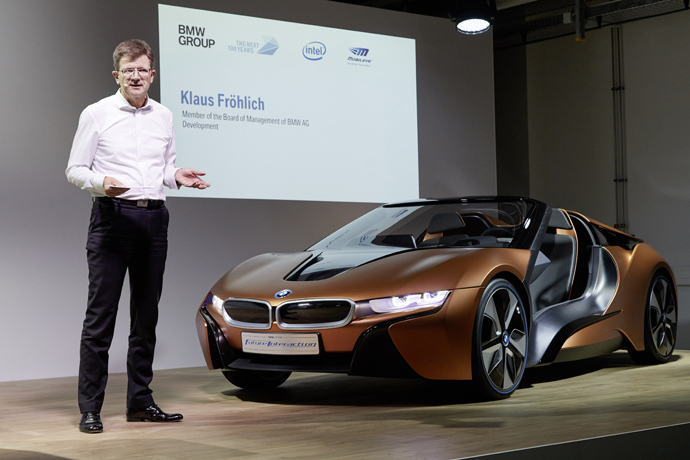 Our technology keeps passengers safer on the roads, reduces the risks of traffic accidents, saves lives and has the potential to revolutionize the driving experience by enabling autonomous driving. Our proprietary software algorithms and EyeQ® chips perform detailed interpretations of the visual field in order to anticipate possible collisions with other vehicles, pedestrians, cyclists, animals, debris and other obstacles. 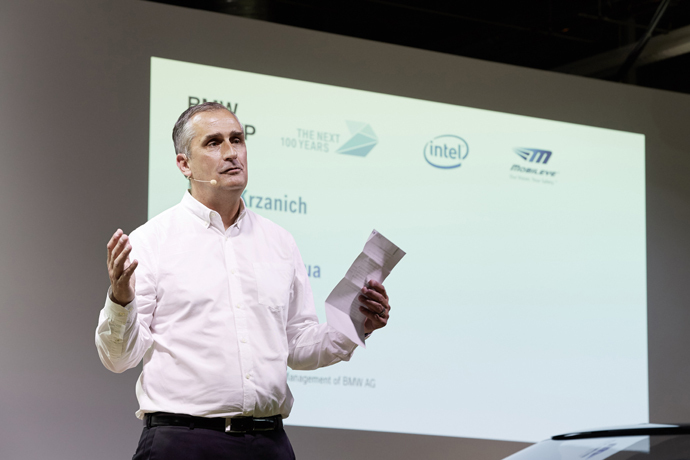 Mobileye’s products are also able to detect roadway markings such as lanes, road boundaries, barriers and similar items; identify and read traffic signs, directional signs and traffic lights; create a Roadbook™ of localized drivable paths and visual landmarks using REM™; and provide mapping for autonomous driving. 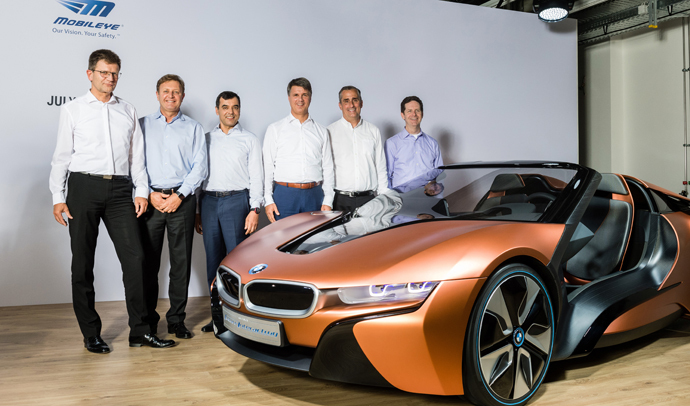 Our products are or will be integrated into car models from 25 global automakers. Our products are also available in the aftermarket. This press release contains certain forward-looking statements. Words such as “believes,” “intends,” “expects,” “projects,” “anticipates,” and “future” or similar expressions are intended to identify forward-looking statements. These statements are only predictions based on our current expectations and projections about future events. You should not place undue reliance on these statements. Many factors may cause our actual results to differ materially from any forward-looking statement, including the risk factors and other matters set forth in the public filings of each of the parties to this press release. Neither party undertakes any obligation to update or revise any forward-looking statement, whether as a result of new information, future events or otherwise, except as may be required by law.